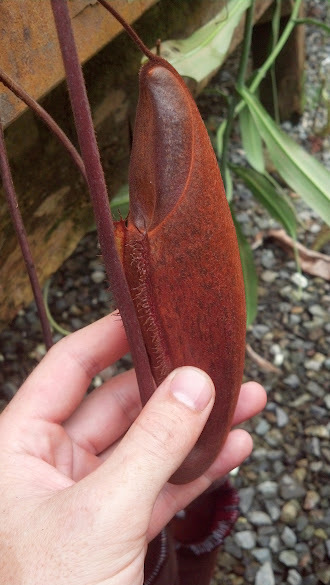 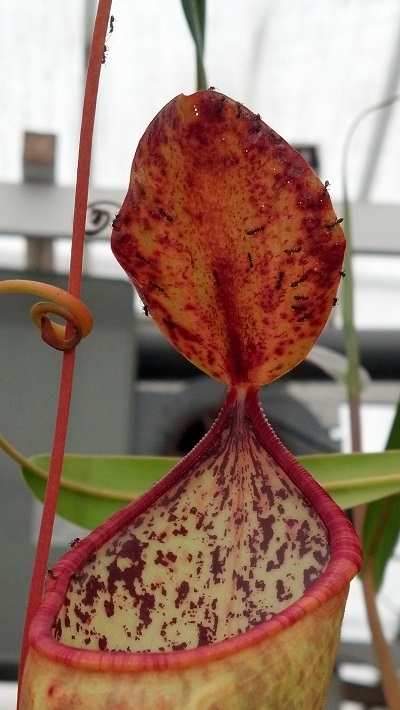 Nepenthes (veitchii x lowii) x spectabilis “Giant” starting to show some great color. 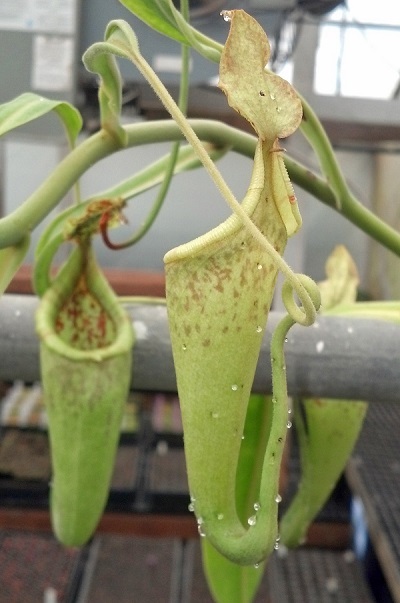 This plant has always had a very tough time during colder winter months. 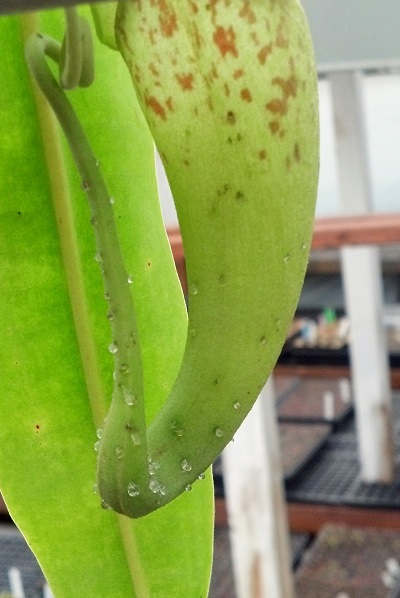 Hopefully the new greenhouse will allow it to thrive year-round. 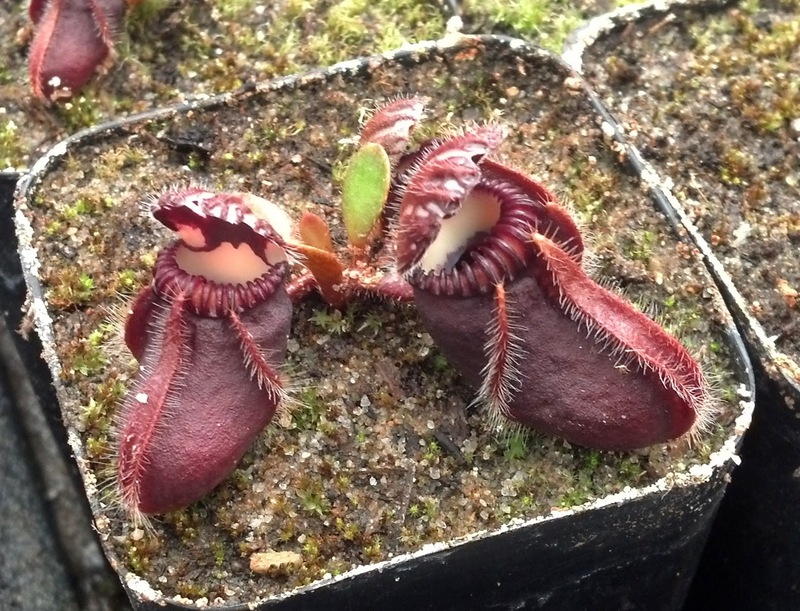 Cephalotus follicularis from Borneo Exotics. 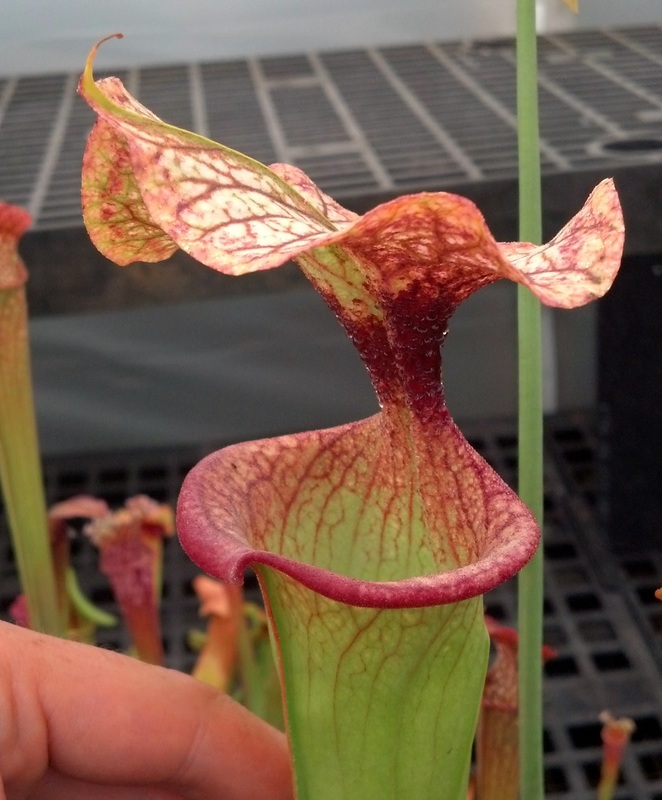 Sarracenia ‘Adrian Slack’ dripping with nectar. 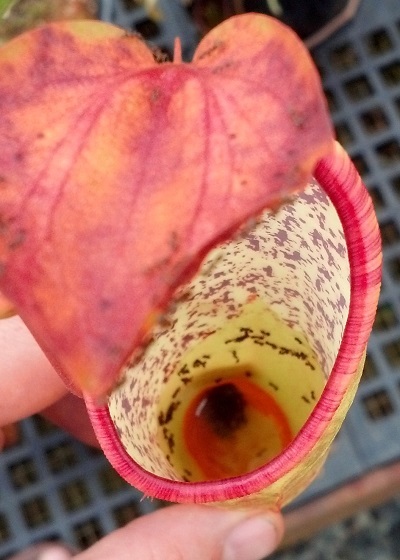 This remains perhaps the most spectacular Sarracenia hybrid. 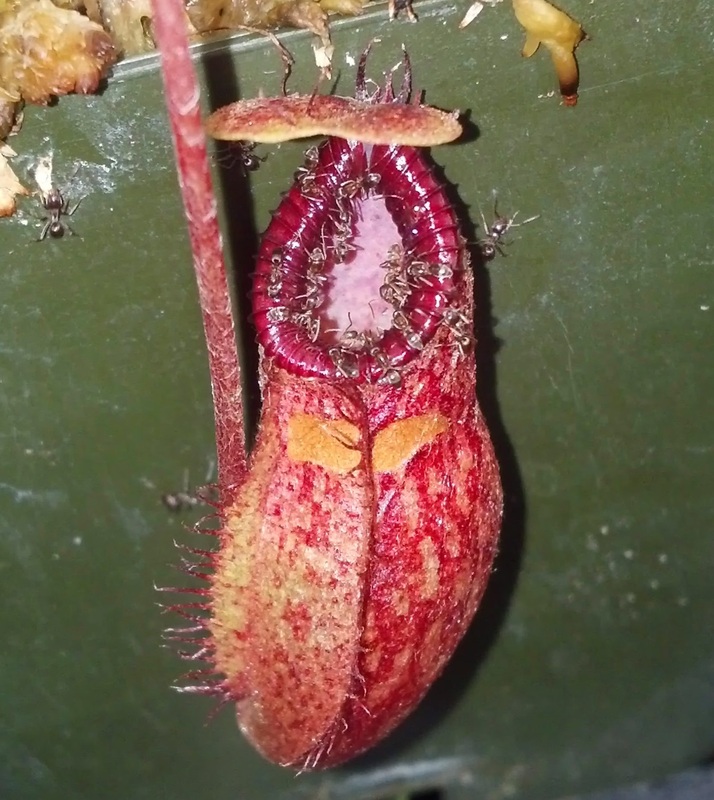 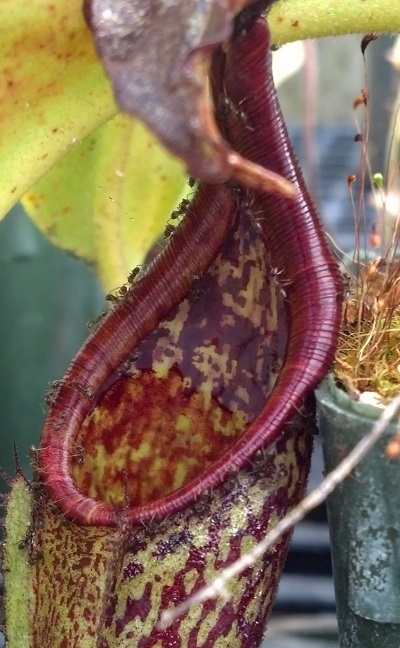 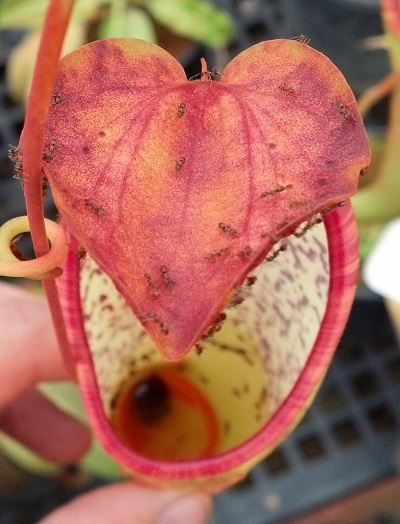 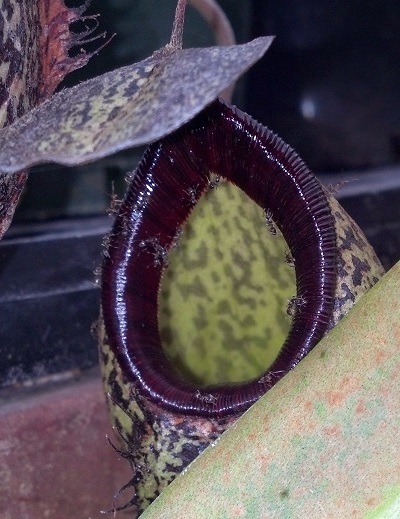 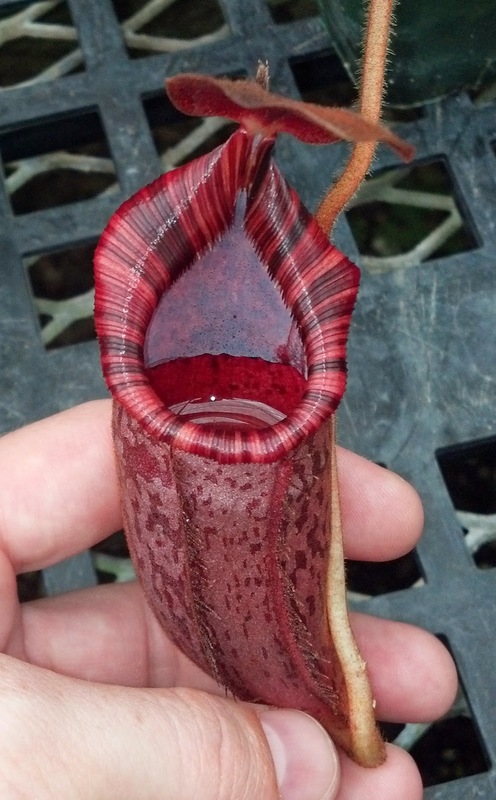 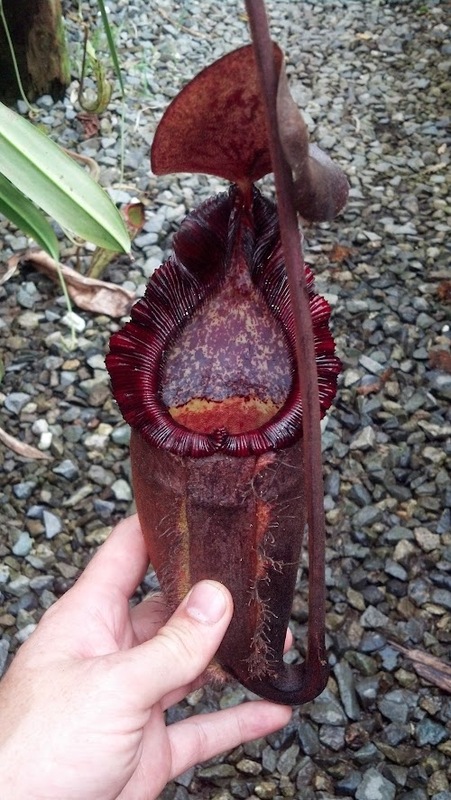 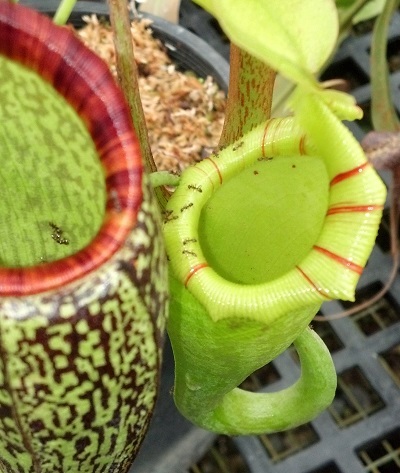 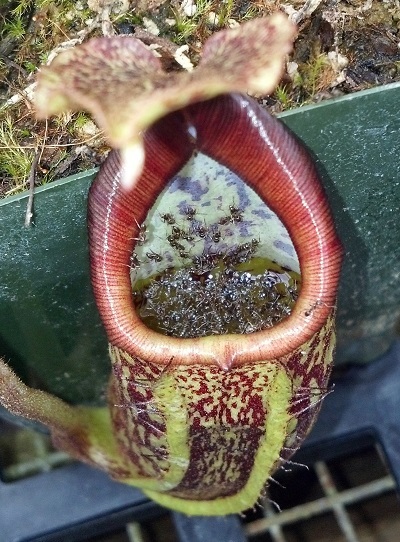 The pitchers produce a sweet, musky smell this time of the year. 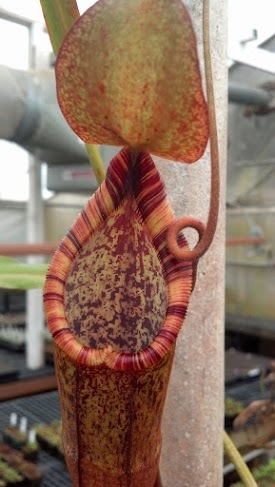 Nepenths (veitchii x lowii) x spectabilis "Giant"